Rishikesh is a great place for a quick getaway if you need to rejuvenate your mind and body. Rishikesh, also known as the Gateway to the Garhwal Himalayas, is a town rich in cultural heritage. 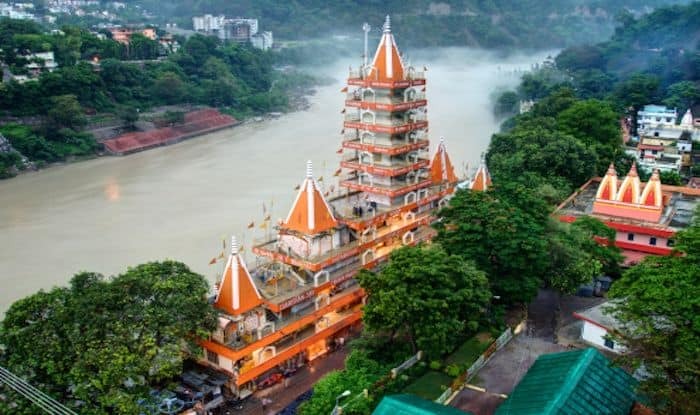 Along with being a major pilgrimage spot for the Hindus, Rishikesh draws an unbelievable number of travellers each year owing to its cosmopolitan vibe. The town is famous for its meditation centres and yoga ashrams, quaint cafes and adventure sports – a holiday here is a great idea if you want a bit of all of it on your trip. Most of the pictures we see from Rishikesh features a nice, long bridge. Start your trip by visiting the Laxman Jhula – a suspension bridge of great significance. Legend has it that the bridge was built in the same place, where Lakshmana once crossed the river Ganges on a jute rope. You could visit Swarg Ashram soon after, one of the oldest Yoga ashrams in India. It’s a perfect place for people seeking solitude; you can sit and meditate for hours near the private river bank. Even catching the sunrise over the Shivalik from here is a surreal experience. An evening aarti at Triveni Ghat is a one-of-a-kind experience, and has the power to bring about a calm in the mind. If you’re interested in temple hopping – Kunjapuri Devi Mandir, Lakshman Temple, Trayambakeshwar Temple and Neelkanth Mahadev Temple are all worth exploring. Then of course, you can pay a visit to the Beatles Ashram, where the famous band attended a session of transcendental meditation in 1968. This put Rishikesh on the map, and ever since people flock here to immerse themselves in spirituality. For the wildlife enthusiast, a visit to Rajaji National Park is a must. The dense forests of the park house a plethora of animals ranging from the Bengal tiger to sloth bear and provides scope for some great bird-watching too. About 36 kilometres from Rishikesh, Kaudiyala is famous for its adventure sport; especially whitewater rafting. Another place for adventure sports is Shivpuri, where you can also indulge in zip-lining and camping. If you’re extending your stay in Rishikesh, remember to explore the picturesque town of Narendra Nagar – situated at a height of 1,326 meters above sea level.